IN HEALTHCARE, THE STAKES OF INADEQUATE SECURITY ARE HIGH. WHEN COMPLIANCE ISN’T ENOUGH, SMART CHANGE STARTS HERE. 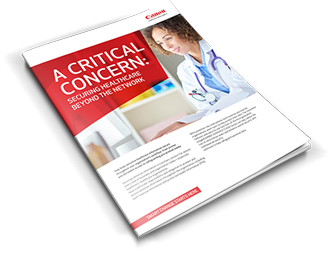 DISCOVER THE UNSEEN ISSUES FACING THE HEALTHCARE INDUSTRY. 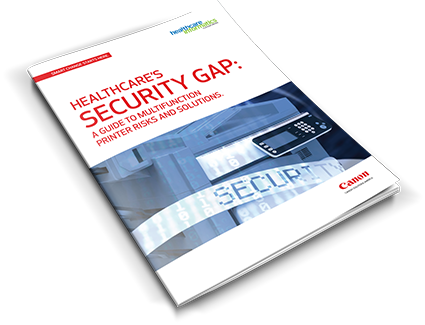 Learn what Canon Solutions America's security solutions can do to help healthcare organizations innovate for success in this collection of security-focused surveys, infographics, and issue briefs. 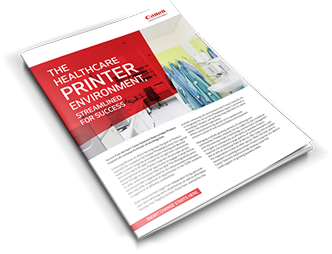 INTERESTED IN FINDING OUT HOW CANON SOLUTIONS AMERICA CAN HELP YOUR HEALTHCARE ORGANIZATION SECURE YOUR PRINTER ENVIRONMENT? SECURING PATIENT DATA STARTS WITH SECURING YOUR MULTIFUNCTION DEVICES. Download -case study title here-. Download -fact sheet title here-. Download -solutions overview title here-. Continue to explore risks and solutions in our healthcare security collection.